Once again - Comedy Masala is THRILLED to introduce an international act to Singapore for the first time ever!! Garrett is a performer with wide appeal and a diverse range. 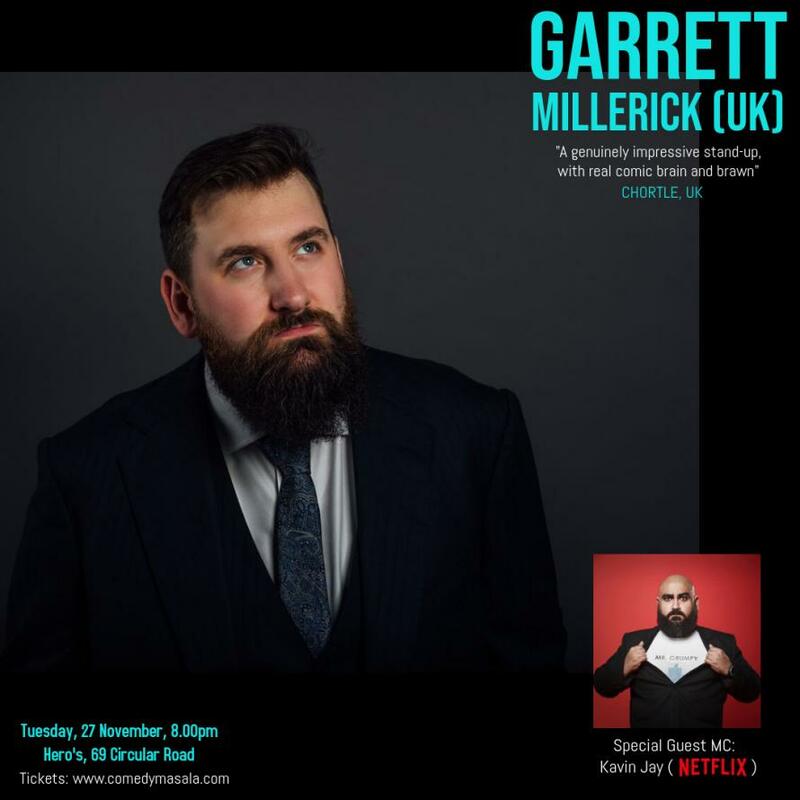 He regularly headlines the UK's biggest comedy clubs, has performed internationally, and recently returned from his fourth overseas tour entertaining the British and American Military. As a writer, his debut sitcom 'Do Gooders', a comedy about mid-level charity workers, was optioned by Hat Trick Productions and was commissioned as part of Audible's first slate of original programming. Garrett also is a successful director in both theatre and film. His stage work has attracted critical acclaim and his short films have been distributed and screened internationally.